Wigan workers earn hundreds of pounds less than the average annual salary in the North West. Income inequality charity the Equality Trust says the figures from HM Revenue and Customs, which reveal a gap of more than £35,000 between the UK’s richest and poorest areas, “paint a bleak picture for our society”. The average worker in Wigan made £21,000 before tax in the 2016-17 financial year, HMRC figures show. That’s lower than the £21,300 median income across the North West. HMRC uses the median, the middle number in a series, instead of the mean average, so the figures are not distorted by extreme highs and lows. The data only covers taxpayers, and does not include people who are self-employed. Workers in Copeland have the highest median salary in the region at £26,000, while Blackpool employees have the lowest, at just £17,900. 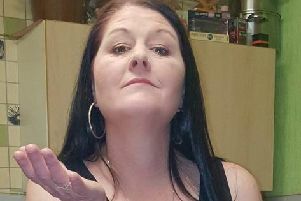 Dr Wanda Wyporska, executive director of the Equality Trust, said: “These figures paint a bleak picture for our society, and we can see a huge divide between incomes in the north and the south. Across the UK, workers in the City of London have the highest income at £54,300, while employees in Boston, Lincolnshire, have the lowest, at just £17,600. The median is £23,600. Poverty and social mobility charity The Joseph Rowntree Foundation urged the Government to focus on strengthening the economies of poorer areas. Policy chief Katie Schmuecker said: “Too many working people are locked in poverty by low pay and high costs. That is not right. 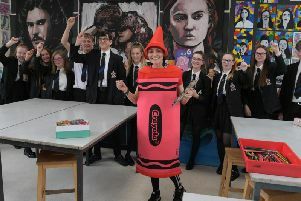 Wigan teacher bidding to become World's fastest crayon!